To show our appreciation for your business, a portion of your Patriot Pure purchase today goes directly to charities that support veterans and their families. Thank you for helping us make a difference for our vets! The Patriot Pure Shower Filter makes a huge difference in the health of my skin and hair, especially in the winter. I used to get horrible itching and dryness on my hands and elbows, no matter what moisturizer I used. The Patriot Pure Shower Filter stopped that. It also reduced the irritation to my eyes, and stopped the chlorine smell that used to bother me when I showered. Since the water is filtered, my shower head has lasted so much longer. I can tell the difference in my hair, and there is no loss of water pressure! I also don't have to worry about any chemicals in the water getting into my skin. 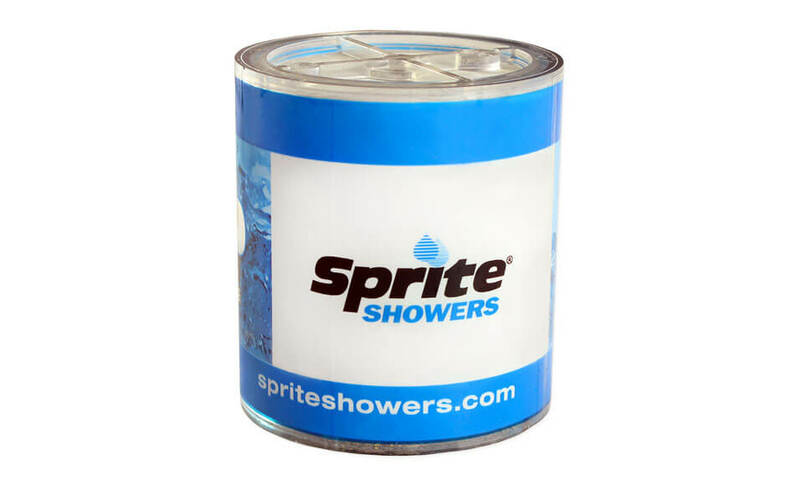 I will never shower without one! The apartment complex I live in has MAJOR levels of chlorine. I have very sensitive skin so buying a Patriot Pure Shower Filter was one of the best decisions I've made. This brand is great. 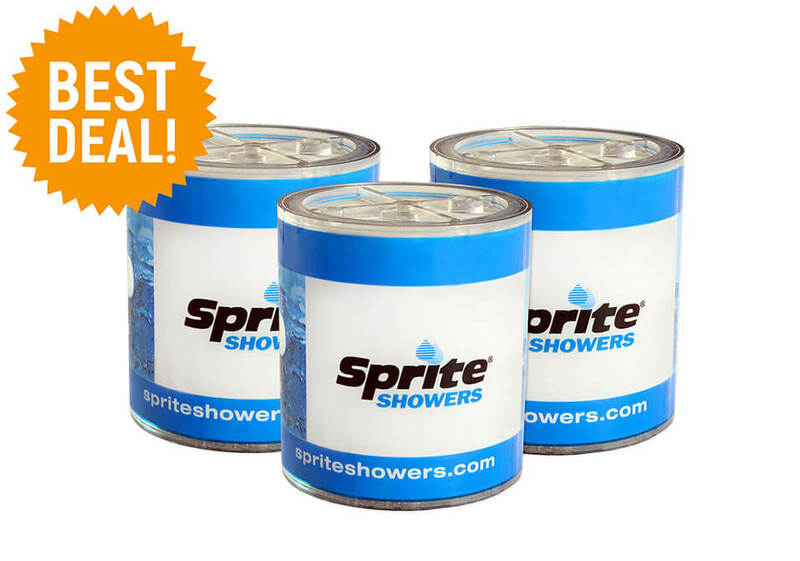 It filters out all the chlorine and provides such a great showering experience! I guess you don't know how well this filter works until it stops working! We missed replacing it a couple months back and we noticed that our skin was drying out and flaking again. These filters do a great job of removing the chlorine that can really dry up your skin. Once we started using the Patriot Pure Shower Filter, our feet are no longer cracked or peeling and our skin is not flaking all over. Highly recommend it for people who have dry skin problems! Q: What is the Patriot Pure Shower Filter? A: The Patriot Pure Shower Filter is a cutting-edge water filtration system for your shower that removes the majority of chlorine and other contaminants from your shower water for you and your family! Your shower filters feature a proprietary chlorgon filter, developed to meet the strictest NSF 177 standards for chlorine reduction. High Capacity: Long-lasting 25,000 gallon or 12 month filter cartridge gives you the highest filter capacity on the market! Unique Reversible Cartridge: The Patriot Pure Shower Filter has a unique reversible filter cartridge you can simply unscrew and reverse to keep it working long after other filters have gone KAPUT! Durable Construction: Designed and built out of chrome and nickel plated on solid brass makes your Patriot Pure Shower Filter not only attractive, but also incredibly durable. Easy to Install: We've designed it to be compatible with almost all commercially available shower pipes. Just take off your existing showerhead and with a couple turns of your wrench, you're all set! Filters Made in the U.S.A.: And every purchase helps support charities that help military veterans and their families. Q: Who created and manufactures the Patriot Pure Shower Filter? A: Patriot Health Alliance is on a mission to provide our customers with the top water purification products available, at affordable prices. Water is essential to living and we all deserve the assurance that the water we use is free of harmful toxins and chemicals, not only for ourselves but our loved ones too. …plus, it’s pH balanced too! Rest assured, with the Patriot Pure Shower Filter by Sprite, you're showering in clean, toxin and chemical free water. Q: How do the Patriot Pure Shower Filters protect my health? A: The Patriot Pure Shower Filters remove chlorine, dust and sediment from your shower water. This reduces your exposure to the harmful effects of chlorine, especially vaporized chlorine that rises up toward your nose and mouth in a hot shower. Pure, refreshing, nourishing water in your shower can make all the difference when it comes to making sure you and your family are protected from dangerous chlorine. Q: How long will my Patriot Pure Shower Filters last? A: Each of your Patriot Pure Shower Filters lasts for a whopping 25,000 gallons. For most people, that's about a year. And with our unique reversible filter design, you can get the most out of your filter by simply reversing it after about 6 months to extend the filter's life! Q: How easy is it to install? A: 10 minutes or less! It's as simple as turning a wrench — and that's the only tool you'll need. Plus, you'll get super easy-to-follow instructions, WITH pictures just in case you need them. Not to mention… our friendly customer service team is ready to help anytime you need them. They're based in the U.S.A. and know our products in and out. Call toll-free anytime! Q: What's the water pressure like? Since the water is filtered, my showerhead has lasted so much longer. I can tell the difference in my hair, and there is no loss of water pressure! I also don’t have to worry about any chemicals in the water getting into my skin. I will never shower without one! But, if it still has you concerned… here's a special feature about your Patriot Pure Shower Filter… you can use just about ANY mass-marketed shower head of your choice — just twist off the one that comes with the unit and twist on the actual showerhead of your choice! A: While we feel that the Patriot Pure Shower Filter is the top-rated filter and best value in the industry, if for any reason at all you are dissatisfied just let us know within 365 days and we will arrange for you to return it for a 100% refund — no questions asked. A: We are unable to guarantee today's pricing beyond today. Our pricing frequently changes due to the constantly changing shipping regulations and high demand for our products. Also, with recent water quality making headlines, the Patriot Pure Shower Filters are increasingly popular which may result in decreased supply. To guarantee our lowest pricing, be sure to secure yours today. And get enough for all the showers in your home… including family and friends you'd like to gift with safe, clean shower water. Q: How Many Patriot Pure Shower Filters Do I Need? Well first and foremost, how many bathrooms with showers do you have in your home? When you discover just how much better your hair and skin actually FEEL when you start using The Patriot Pure Shower Filter, you'll definitely want one in every shower, so that everyone in your family can enjoy the benefits. But if you decide "one is enough" for you — they make a GREAT gift for your friends and loved ones. Plus when you order more than one during this special offer you'll get FREE shipping too! But do act now, supplies are limited! We use a third-party credit card processor that meets the strictest international standards for data security to manage our credit card payments, so no one ever has access to your credit card information. We do NOT keep your credit card number stored in our systems - ever.